What dreadful hot weather we have! It keeps one in a continual state of inelegance. Summer is here, folks! Read on for ways to stay elegant this summer. 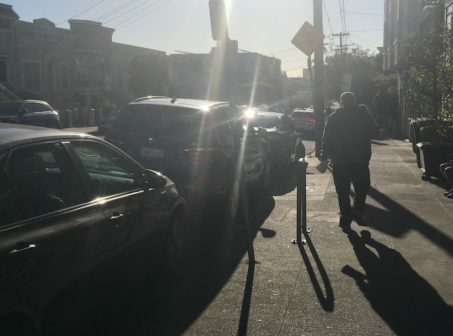 How can we in the Bay Area prepare for a heat wave? First and foremost, be aware. Most victims of heat stroke are young children and elderly or disabled adults. Never leave a child in the car, and check on adults whom you suspect may be at risk. Second, get ready for the heat before the heat wave strikes. 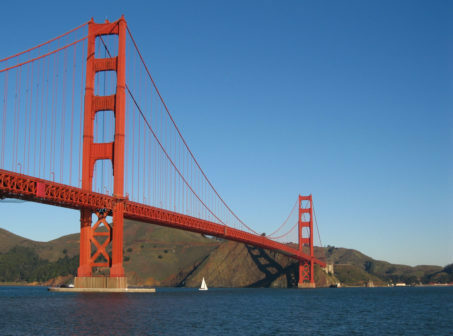 Here’s where we can help: we’ve compiled the following tips on how to keep your Bay Area home cool in the heat. Is it time to upgrade your window coverings? According to the U.S. Energy Department, “…when completely closed and lowered on a sunny window, highly reflective blinds can reduce heat gain by around 45%.” In other words, make sure you have good window coverings and remember to use them during hot weather. Keep reading for more tips on staying cool during a heat wave. 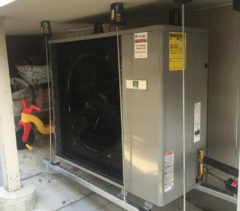 Roger’s Pool & Spa Service Inc.
SAN MATEO — As we head into summer, it’s a good time to check your air conditioning equipment and make sure it’s running as cleanly and efficiently as possible. Start by checking your air filter; if it’s dirty, replace it before you turn on your system for the season. A new air filter will not only promote healthy system performance, it’ll also ensure fresher, cleaner indoor air. Next, go outside and clean your air conditioner’s condenser unit by sweeping off leaves and debris (to get it really clean, spray it with a garden hose). Next, inspect the blower motor. When an air conditioner’s blower motor isn’t operating at full speed, it can inhibit the entire system’s performance, so check the electrical current and make sure your system is optimized for maximum efficiency. 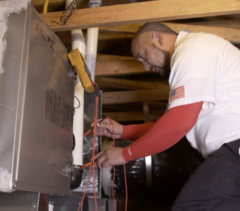 While a handy homeowner can do all of these tasks independently, if you don’t feel comfortable inspecting and maintaining your own air conditioning equipment, call a professional HVAC technician to handle it for you. By getting your air conditioner primed to perform, you’ll enjoy sheer comfort in your home all summer long. SAN RAFAEL — When a homeowner decides to install a swimming pool, the goal is typically for it to be ready in time for the upcoming summer season. However, many people fail to realize that building a new pool is a lengthy process, which is why it’s necessary to plan several months in advance to meet your summer deadline. The construction of a new swimming pool entails many phases, from the initial design and engineering to obtaining building permits to the construction itself. The permit process alone can take several weeks and potentially hold up the entire project. Add to that allowances for unexpected issues and it’s easy to see just how time-intensive a pool project can be. If you want to ensure your pool is ready for the summer, contact a pool contractor no later than the beginning of the year. By getting the ball rolling in January, you’ll be sitting cool in your new pool by June. SEBASTOPOL — Following its winter dormancy, you’ll need to spend a little time getting your swimming pool ready for summer use. Preparing your pool primarily consists of two aspects: cleaning and sanitation. Use a vacuum and/or handheld net to remove stray leaves and any other debris that has accumulated in your pool during the winter. In addition to cleaning the pool itself, you should clean your filter by disassembling it and using a garden hose to wash off the individual parts. Keep in mind that once you start using your pool again, you’ll need to adjust your filter’s runtime from the offseason minimum to about eight hours a day. One of the main aspects of sanitation is obtaining a proper pH balance, which should fall between 7.2 and 7.4. You’ll also need to add chlorine—aim for a chlorine-to-water ratio of between 1.5 and 3 parts per million (ppm). 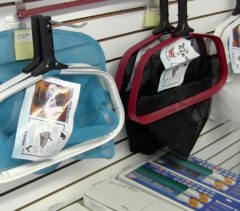 A good way to determine if your pool’s chemical levels are correct is to take a water sample to your local pool supply store for testing (many stores provide this service for free). Once you have your pH and chlorine levels stabilized, all that’s left to do is enjoy your pool. EL CERRITO — Some people think air filters are all the same, but this is far from the case. While the heating and cooling systems in many homes have standard, one-inch fiberglass filters, the reality is that these do little to improve indoor air quality—they’re only good for filtering out very large airborne particles. To get better filtration for your HVAC system, consider upgrading to a MERV 13 air filter. This four-inch pleated filter removes particles down to the level of viruses and bacterium, which makes it at least 60 times more effective than a standard filter. 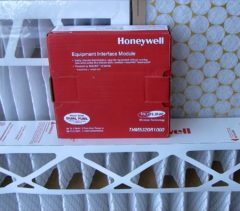 In addition to the quality of the filter you choose, another consideration is how often you replace it. Depending on how frequently you run your HVAC system, your filter may need to be changed anywhere from once a year to every couple of months. To get an idea of an appropriate replacement interval, periodically look at your filter and take note of how fast it gets dirty. By maintaining a clean filter at all times, your home’s air will be cleaner and your HVAC system will operate more efficiently, which will save you money on your utility bills. CONCORD — If you can’t remember the last time your heating and air conditioning system was professionally serviced, chances are it’s overdue for maintenance. Much like your car, your home’s HVAC system needs regular tune-ups to maintain optimal performance. You’d never dream of driving your car for years without a tune-up or at least an oil change, so why would you neglect the system responsible for heating and cooling your home? 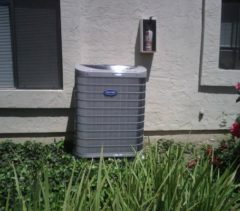 Even the newest furnace and air conditioning units need to be regularly serviced by a professional. Professional service maintains system efficiency, avoids unnecessary problems and prevents costly breakdowns, all of which can save a lot of money over the long term. So, if you’ve been putting off maintenance solely because of the cost, keep in mind that the consequences of neglecting your system can be far more costly.